More information about the TOSMI project. 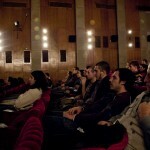 We are happy to show you all the movies done in TOSMI 2011 General Blender course. This year the participating teams were four so here are the four final projects they produced. 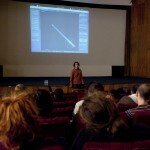 Right back from the Blender Conference 2011 and amidst the Advanced Blender course of TOSMI 2011, Bassam Kurdali and Sebastian Koenig will give a public presentation on 9th November 2011, Cinema House Sofia, 37 Ekzarh Yosif Str. The artists will show their latest projects, share some hot news from the Blender Conference, tell us what’s new in Blender 2.6a and give some insight into this year’s TOSMI group work. Videospritz is a screening event which will be held on 16th October 2010, 17:30 at the auditorium of Museo Revoltella, via Diaz 27, Trieste as part of collaborative project Transitland. Video Art from Central and Eastern Europe 1989-2009. The event consist of presentation of the project Transitland. Video Art from Central and Eastern Europe 1989–2009, presentation of the Transitland reader and screening of a selection of videos from the exhibition …on the eastern front. Video art from central and eastern europe 1989–2009, held in March 2010 at the Ludwig Museum Budapest. Curators – Rita Kálmán and Tijana Stepanovic (ACAX/Ludwig Museum Budapest). There were 15 participants and 3 trainers involved in the courses. The first course, held from 16-21 August, served as a general introduction to Blender and was designed to lead the participants through the entire production process. The second course, held from 23-28 August, put emphasis on advanced Blender techniques. Participants made a professional portfolio/demo reel in Blender 2.5. Each training day lasted 8 hours and included a balanced mix of theory and practice. The exhibition of the collaborative archiving project Transitland. Video Art from Central and Eastern Europe 1989-2009, will be shown from 3th June to 9th July, 2010 at Space Gallery, Bratislava. It will present a selection of works in the archive. 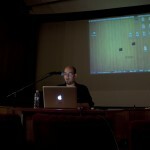 The show was documented by Artycok.tv, with an introduction by Space Gallery curator Juray Carný. The exhibition is realized with the support of the Ministry of Culture of the Slovak Republic. After coming to Bulgaria as lecturers and trainers at TOSMI 2010, three of the most talented and pronounced Blender 3D artists will make a public presentation on 27th August 2010, Friday, Cinema House Sofia, 37 Ekzarh Yosif St., 14:00. After a three-month residence stay in Sofia earlier this year, the Serbian artist Natasha Vujkov presents a video installation dedicated to the city and its traffic police. The event will take place on 18–22 August 2010 (Wed.-Sat. from 17:30 to 19:30, Sun. from 17:00 to 21:00). On Sunday the artis will be present at The Fridge, 122 Ovche Pole St, 17:00, to meet visitors to the gallery and answer questions. After the opening on 17th August, 19:00, there will be a party with Jeevs & Barbarosa. Organized by Media Art Lab for the Mediaforum program of the Moscow International Film Festival (MIFF), the Transitland exhibition is accompanied by screenings, a public discussion, lectures and workshops. The events will take place from 30th May to 26th June 2010 at Moscow Museum of Modern Art (MMOMA), 15 Petrovka Str., Moskow, Russia. Apart from a selection of 15 works from the Transitland archive, visitors will be able to view the entire content of the archive presented as a video jukebox. 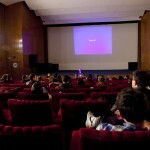 Mediaforum is a major section of Moscow Film Festival and is the most renown programme in Russia dealing with video and media art. It has been entertaining and educating the Russian audience for ten years. Its program consists of variety of screenings, lectures, round tables, performances and exhibitions by both Russian and international artists.